Today we're talking about the one of the most popular essential oils–peppermint oil uses and benefits. Like many of you know, if you've been following me for awhile, I used to be a total skeptic about essential oils. I thought that essential oils were basically snake oil set up in an MLM (Direct Sales) system for people to make money pushing perfume as a medical treatment. Well, turns out I was wrong. One of the most commonly used essential oils, and one of my favorites, is peppermint essential oil. 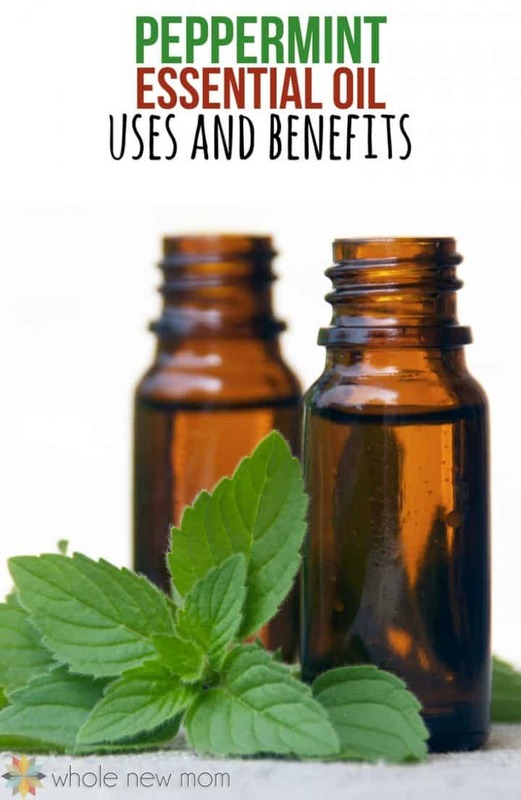 Let's go over some of the benefits and uses for peppermint essential oil and I will share a bit about how we've used it in our family. Peppermint essential oil is one of the most popular oils and for good reason. It helps improve a myriad of ailments and has several benefits for your hair and skin. If I could only have three essential oils in my home, I think that peppermint would definitely be one of them. Peppermint is actually a cross between water mint (mentha aquatica) and spearmint–betcha didn't know that! The herb has been used for its medicinal purposes for thousands of years in Europe, Japan, and China. Peppermint oil was even found in ancient pyramids in Egypt! The flowering peppermint plant is harvested and steam distilled to produce the essential oil. The active ingredients are menthol and menthone. Due to the menthol, peppermint feels cool when it's applied topically to the skin. Peppermint is also naturally antimicrobial, so it's a great oil for the skin. Peppermint essential oil is used topically to help calm skin irritation. The cooling sensation feels amazing on tired feet, and it's also beneficial in lip balms. Since it's naturally antimicrobial, it's a great oil to use in skin care recipes if you have blemish-prone skin. Peppermint is naturally soothing. The cool sensation feel great on a rash or itchy skin. 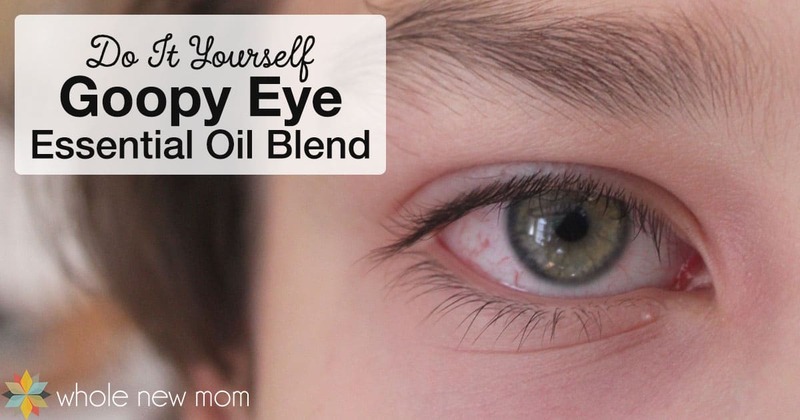 Don't forget to dilute it with a carrier oil before you apply it to your skin. Even if you are careful, sunburned skin still happens sometimes. Combine organic coconut oil with a drop of peppermint essential oil to make a quick sunburn relief balm. The cooling sensation of peppermint oil can help soothe tired, achy joints and muscles. In a study, peppermint was said to help reduce discomfort associated with fibromyalgia. Peppermint is a popular ingredient for hair care because it's cooling and antimicrobial. If you have flakes on your scalp or dry skin, peppermint oil can help soothe the scalp and reduce flakes. Either use a shampoo with peppermint essential oil or add one drop to your usual shampoo (make sure you blend it well to emulsify the essential oil) just before washing your hair. Peppermint oil also repairs damaged hair and encourage stronger, thicker hair. So it's a no brainer that I included it in this Essential Oils for Hair Growth Blend. Whenever you get congestion in your chest, reach for peppermint essential oil. It works like a decongestant, opening the airways. I mix it with a carrier oil and apply it to my chest or diffuse it in my diffuser–this DIY Essential Oils for Cough Blend has peppermint in it and it works great! One of the many peppermint essential oil benefits is that it is also one of many natural seasonal and environmental threat remedies. It works by relaxing the muscles in your nasal cavity, which reduces symptoms. Even though my boys have had their palates expanded for sinus help, we still need a little help in this department from time to time. Due to these properties, peppermint is a great essential oil to include in this DIY Chest Rub. Peppermint might also help improve attention issues and can increase energy. You can use it in a diffuser or dilute it and apply it topically. Whenever my husband is driving in the car and he starts to get tired, I whip out some of our fave Sugar-free Peppermint Gum. It always helps. I guess I should start taking my peppermint essential oil along for the ride too! Feeling worn out or just need a little boost for afternoon work or homework? Try peppermint for its help with brain function. Peppermint essential oil has truly been shown to increase memory capacity. Neat, huh? As much as we humans may love the smell of peppermint, insects and other small animals aren't fond of it. 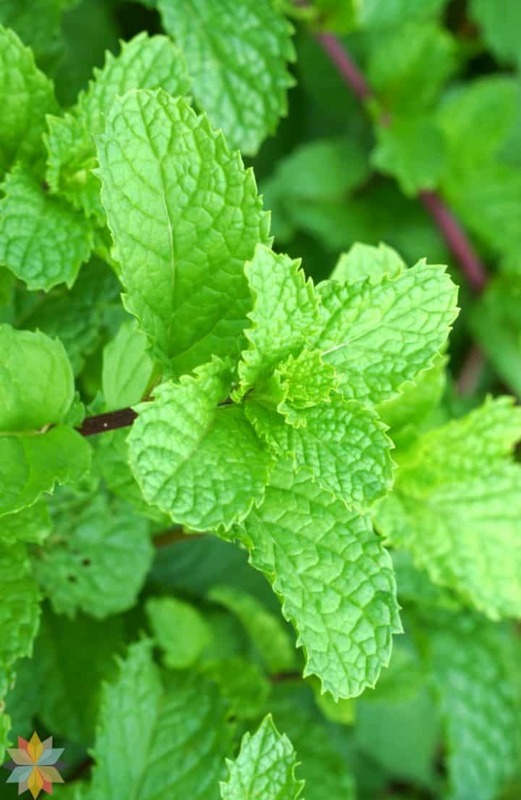 Peppermint naturally repels mosquitos, ants, spiders, mice, lice, and even cockroaches. Put a few drops of the oil on a cotton ball and place in closets, your basement, or other place that these critters are prone to hiding. In a study, head tension sufferers used peppermint oil and other oils to get relief since peppermint is said to relax muscles and improve circulation. The study found that peppermint oil and along with other oils can help reduce head tension and reduce sensitivity to these issues. For head tension relief, apply diluted peppermint oil to the temples or forehead. I wrote about our experience with peppermint and head tension (amongst other things) here. THIS has been one of my FAVORITE uses for peppermint oil, even though it's not something that comes up often. Peppermint is a great part of therapy for tendon issues. Combined with lemongrass and diluted appropriately, it's helped sooth and even heal tendon issues many times over for me. Sometimes almost instantaneously! Most recently, I had a tendon issue on the top of my foot. Somehow I had pulled a tendon there and it got very painful. I didn't know what the pain was from, but after researching it and finally applying this “tendon blend”, things started moving in the right direction. 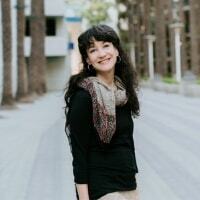 Yay–essential oils to the rescue! Peppermint Essential Oil can be helpful to ease an upset tummy. When I was little, my mom used to offer us a mint Lifesaver candy when we were small–makes sense! In actuality, peppermint essential oil has been used to calm all kinds of digestive upset. Peppermint essential oil is obviously cooling, helps with pain (is analgesic) and is anti-inflammatory. It's great to include in a rub for after exercise soreness or discomfort resulting from injuries. You will often find peppermint essential oil in store bought rubs that are meant to treat discomfort of all types. This is pretty obvious, but peppermint oil helps deal with and prevent bad breath. It's not just because it smells good, but it's antibacterial qualities affect the bacteria that leads to the bad odors. Now, don't go putting peppermint oil straight into your mouth, but you could make a DIY mouthwash with it (I am working on this) or you could put a drop of peppermint oil into a good amount of coconut oil and then swish with it. As shown in this study, peppermint essential oil has been shown to have a positive effect on exercise results including exercise performance, respiratory function variables, systolic blood pressure, heart rate, and respiratory gas exchange parameters. Sounds good to me! 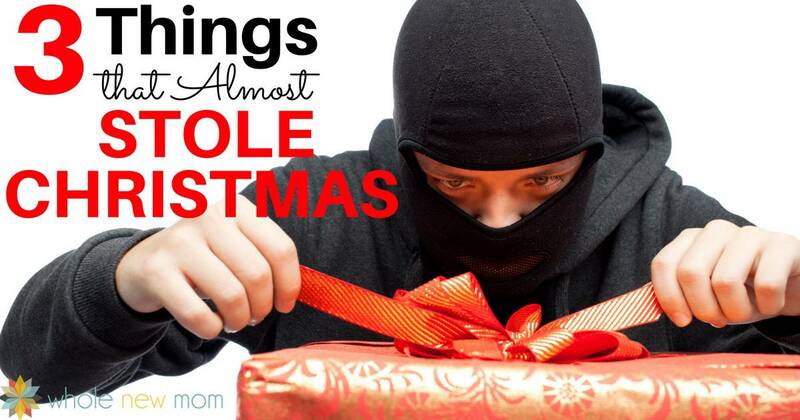 I need to tell my oldest about this so he can try some peppermint oil before his next hockey game! 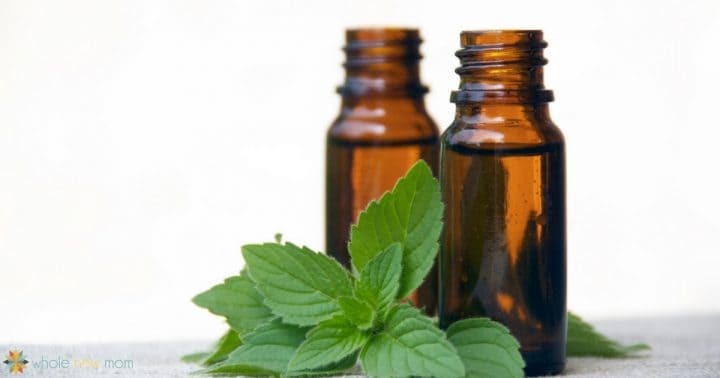 There is evidence in various studies that peppermint oil can even help balance hormones. It's been shown to be beneficial in supporting the body with several hormonal issues. Peppermint's cooling and anti-inflammatory action is a very helpful natural sinus congestion remedy. Peppermint essential oil helps reduce inflammation, thins mucous secretions in the sinus cavities and opens up blocked airways. Add 3-6 drops of both peppermint essential oil and eucalyptus oil to a bowl of boiling water. Place a towel over your head and inhale the steam for 5-10 minutes or until the water stops steaming. Both oils have properties that will help to thin mucus and drain the nasal passages. Expel mucus by blowing your nose. Repeat every 3-4 hours or as often as needed. 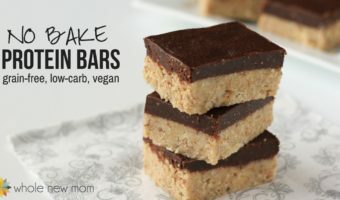 I am not a fan of internal essential oil usage but when diluted enough, using pure essential oils can be a good way to flavor certain recipes like this Dairy-Free Peppermint Fudge, this Vegan Mint Chocolate Chip Ice Cream, or these No Bake Grasshopper Bars. 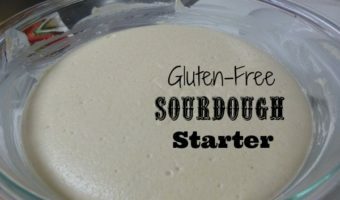 As long as you aren't going overboard this is a great way to use a natural flavoring in your recipes. Just use essential oil instead of mint flavoring or extract. Peppermint has a cool, invigorating scent that smells great. 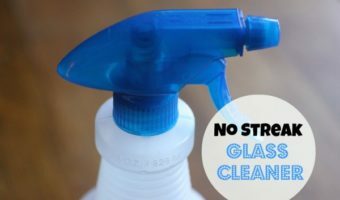 Plus its antibacterial properties make it a great addition to DIY cleaners like this Homemade Cleaning Paste or this Homemade Glass Cleaner. 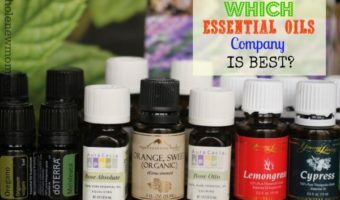 There are many ways to use essential oils as outlined in this post on How to Use Essential Oils. Use peppermint essential oil either topically or in a diffuser. If you apply it to your skin, always dilute it with a carrier oil. I'll be sharing a safe dilution chart with you all soon so stay tuned! You might wish to go here to get my Essential Oils Buying Report and get on my VIP newsletter list at the same time! There are many great peppermint oil benefits, but keep in mind that peppermint essential oil can react with certain medications, so always talk to your doctor if you are taking medications, even over-the-counter medications, before using the oil. Additionally, essential oils can expire so please keep that in mind as well. As with ANY essential oil, please make sure that you are buying pure essential oils. There are soooo many companies out there. Everyone and his brother is jumping on the essential oil bandwagon to try to make a buck. There are third parties doing testing on essential oils and finding that many are adulterated with either synthetics or other cheaper oils. I went on a hunt to find the best essential oils company for my family and for you all, because I was frustrated with what I found in the marketplace. You can go here to see the whole series or skip here to find where to buy pure essential oils. There are other good companies out there, but if you buy from the company that I chose, you can know that you are getting a good product. Hope that helps! Oh, and I have a BONUS for all of you just for following my blog. 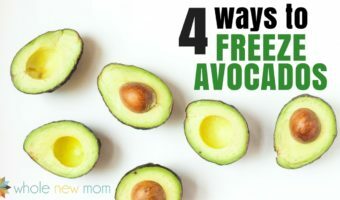 Unless something changes in the future, you can get a FREE bottle of essential oil with purchase when you buy from my company of choice – just go to this page of healthy living deals to find out the details. 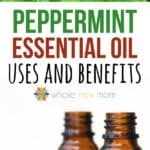 Did you know that there were so many peppermint essential oil benefits? Peppermint is one of my favorite! There is so much we can do with the mint oils from uplifting our mood, to cleaning the house. And it can even help in the grieving period for giving us a bit of a mental lift when we’re feeling down. Indeed, Peppermint has endless benefits for health. My usual go to drink is a peppermint mocha or peppermint frap. Sounds great!!! Do you make it yourself?